The International Bowhunter Education Program (IBEP) is a program designed and administered by the National Bowhunter Education Foundation (NBEF) to train bowhunters throughout North America and internationally. The ultimate goal of the IBEP is to provide bowhunters, both experienced and new, with the basic fundamentals of good, safe bowhunting while maintaining the highest ethical standards in the sport. The immediate objective is to instill in all bowhunters a responsible attitude and to adopt and follow acceptable behavior towards people, wildlife and the environment in which they hunt. International Bowhunter Education Program Presents A Comprehensive Course For Bowhunters. The class will cover the International Bowhunter Education Course. Graduates will receive a Bowhunter Education card from the Arkansas Game and Fish Commission. The card is good for life, accepted in all states, and meets the Arkansas Urban Bowhunting requirements. The classes will last all day. We will break for lunch on your own. We will not be shooting but dress for the bugs and the weather. We will be going outdoors. The classes provided by the ABA are free of charge but registration is required as the class size is limited. The online class does have a fee. You need to follow the like to see what the NBEF is charging for this class. 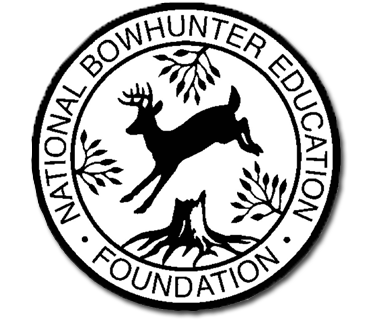 The National Bowhunters Education Foundation offers an Online class for a charge. Once completing the online course you sill still be required to attend a Field Day event. The ABA will be performing these field day events through out the year. Click on the following link for more information on the online class. Everyone taking the online class will also have to register for a Field Day. Some of the ABA members have been doing training several years and have become Master Instructors. Several others have been certified to be instructors allowing us to be able to provide the national recognized training that you will need to hunt states that require the Bowhunter's Safety course.